For as much as I love good Bluetooth headphones, there’s still no denying the simple convenience and versatility of traditional wired headphones. 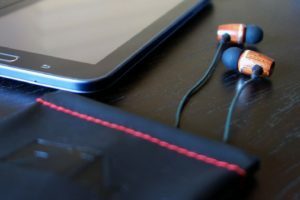 Besides their versatility, wired headphones like the ZealSound HDE-300 In-ear Noise-isolating Wood Headphones I’m reviewing don’t need to be charged, which is of course a big plus in a world of devices where we have to. 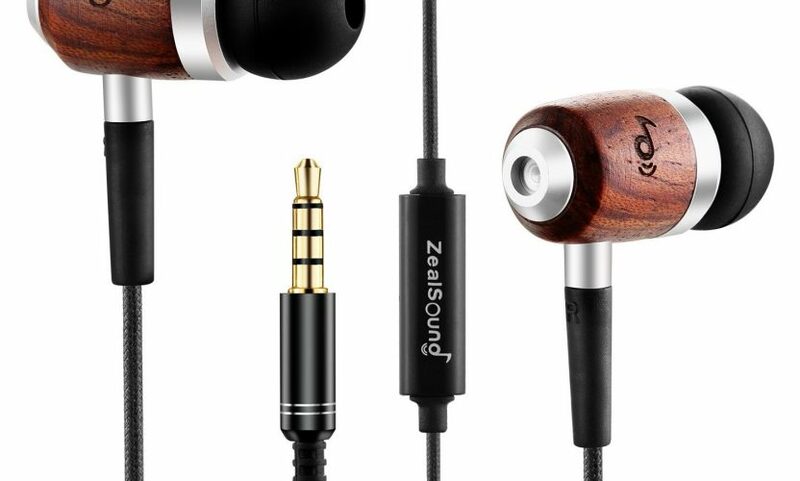 With all of that in mind, one of the things I like best about the ZealSound HDE-300 In-ear Noise-isolating Wood Headphones is the design. While it’s a perfectly ordinary design otherwise, the sapele wood housing is not only attractive, but offers what can only be described as a warmer sound than more higher tech materials. The cable on the headphones is also of note, as it’s wrapped in what almost feels like nylon, and is tangle resistant as a result. 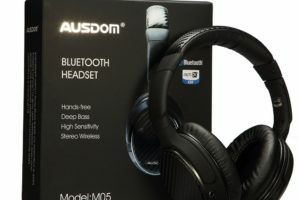 In the package are the headphones themselves, which terminate in a gold-plated 3.5mm audio connector, as well as a cable clip, additional sizes of rubber ear pieces (which do a surprisingly good job at noise isolation), a cloth drawstring carrying case, and instructions. For compatible devices (mostly smartphones), there’s a single button that allows you to Play or Pause audio, as well as Answer or Hang Up calls. 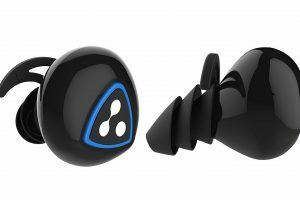 Audio quality in general is quite good, with a slightly heavy bass response, thanks in part to its 10mm neodynium magnet drivers. Thanks to ZealSound for the review unit.